Reba took up track and field at the age of 14 when she joined the Cornwall Legion Cougars. She went on to race for the uOttawa Gee Gees as a member of their varsity team, later carrying on in the sport as a coach, volunteer, and official. As a coach, Reba has worked with Midget/Youth/Junior aged athletes to help develop their basic and advanced technical skills in the sport. She works with several para classes, including athletes with visual impairments and wheelchair athletes. Reba is also a Level 2 official, and has had the opportunity to officiate at local and national level competition as well as the Para PanAm/PanAm Games. Reba is currently an Apprentice Coach in the Changing the Game Program which promotes females in sport – for more info on the program you can check it out here! Her vision is to create a track club that suits the needs of all athletes from recreational to competitive and to give back as much as possible to the track and field community. As a coach, she wishes to help athletes accomplish their goals in sport and in life, while developing healthy habits and lifestyle. Andrew has been a track and field coach since 1994. While Andrew has worked with athletes in most event groups, sprints and hurdles are his specialty. Based on the LTAD model, Andrew excels at bringing novice athletes to the Learning to Compete and Training to Win stages to realize their potential in the sport. Many of Andrew’s athletes have had success on the provincial and national levels, including being named to National teams to compete at the international level. Andrew dedicates his time to advancing the sport through athlete and coach development, and has facilitated coaching education opportunities at all levels including Run Jump Throw, Sport Coach and Club Coach. Emily was born and raised in Ottawa, where she was a member of her high school track team, played competitive soccer, became a lifeguard and started competing in lifesaving competitions in 2006. From 2011 to 2016 she was a member of Canada’s National Lifesaving Team and competed in two World Championships and three other international championships, reaching finals in both the 90m beach sprint and beach flags thanks to the four years of competitive sprint training she received under Coach Andrew Pagé. 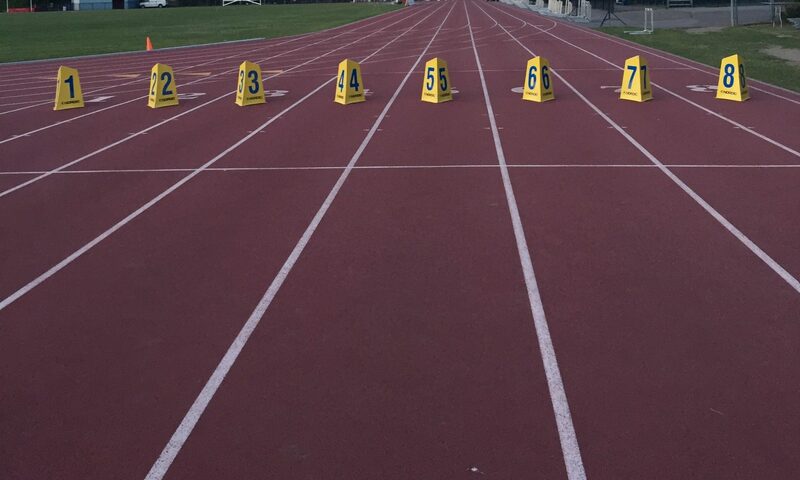 Emily continues to promote high performance sport in Canada through volunteering as the High Performance Manager on the National Lifesaving Sport Commission and as the Assistant Sprint Coach for National Capital Track and Field. In her spare time, Emily enjoys staying fit with her dog, cottaging, and backcountry skiing. Watch this space for more info on our distance coach! Watch this space for more info on our jumps coach! Watch this space for more info on our throws coach! Watch this space for more info on our power/speed coach! Watch this space for more info on our endurance development coach!